Our goal is to capture public deliberation over the airwaves. By pinpointing community issues, we hope to start communication among all stakeholders. We will be broadcasting this forum to a different type of audience and community. Not only do we hope to include the University of Montana community, but also the greater Missoula community. Historically, these two groups can seem very polarized, but still share common problems. Our radio forum will provide an atmosphere where all participants feel free to express their experiences and ideas. Through deliberation, we hope this radio forum may create a bridge between these two communities. This year the Footbridge Forum focused on the rash of sexual assaults that have come to light in the Missoula community. The discussion took place over three episodes aired on 89.9 KBGA and all members of the community were encouraged to participate. 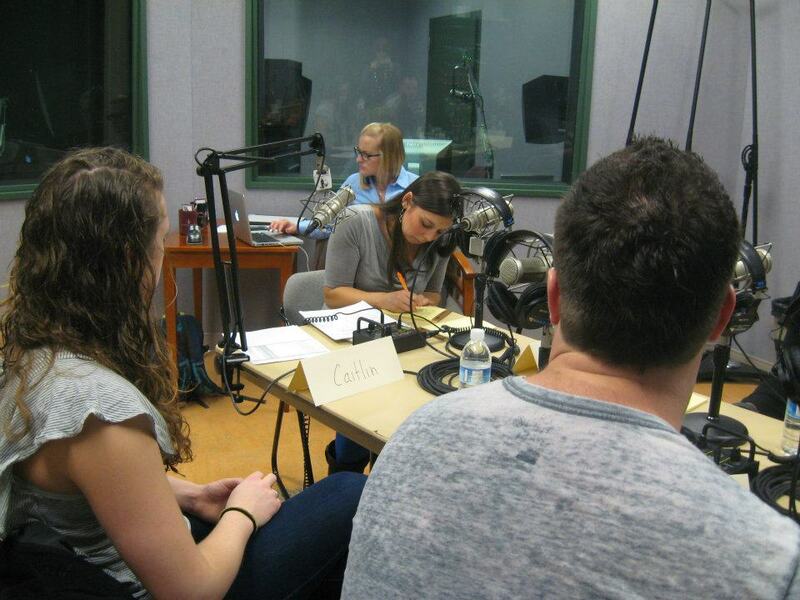 The Footbridge Forum staff would like to thank the panelists and our listeners for making this a great series of shows. Please note, if you missed any of the episodes you can catch up by clicking the podcast link above or by clicking the "download on iTunes link in the lower right corner of this page. We will see you next spring. The Footbridge Forum staff has completed its list of suggestions for officials dealing with sexual assault in Missoula. To see it in its entirety click here. 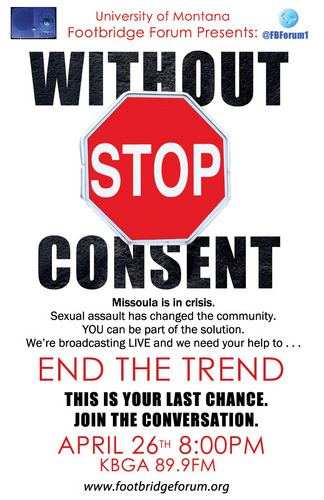 Without Consent will be re-broadcasted on KUFM as a condensed 1-hour version of the whole series. Date and time to be announced.